Cheryl Esposito welcomes Lisa Nichols, best-selling author, speaker, humanitarian, & corporate CEO whose global platform Motivating the Masses, Inc, has reached & served nearly 30 million people. Twenty years of determination & courage, pushing through multiple struggles to transform herself & help others do the same, have led her to this moment. Lisa Nichols is now one of only two African-American female founders to take her own company, Motivating the Masses, Inc., public. Lisa’s newest book Abundance Now: Amplify Your Life & Achieve Prosperity Today, is a glimpse into her personal journey from scarcity to abundance. Lisa says abundance is about more than money. It is a mindset & a practice that can transform relationships, self, career, and finances. Abundance Now outlines a practical blueprint for personal success. She reminds us that “the role of money is to afford you the best memories possible.” Would it be o.k. with you if life became more memorable with abundance now? 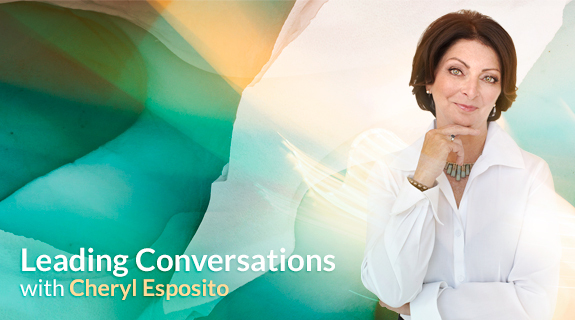 Join Cheryl Esposito & Lisa Nichols traveling the path to Abundance Now!